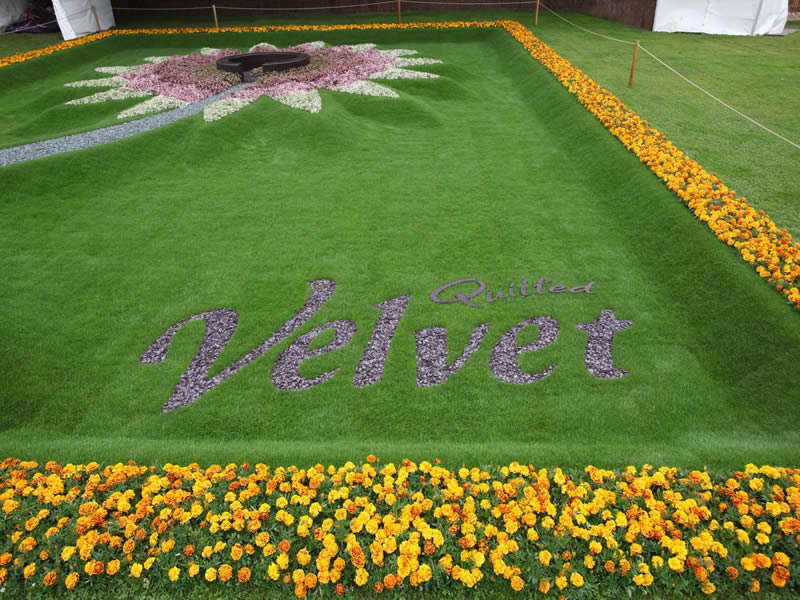 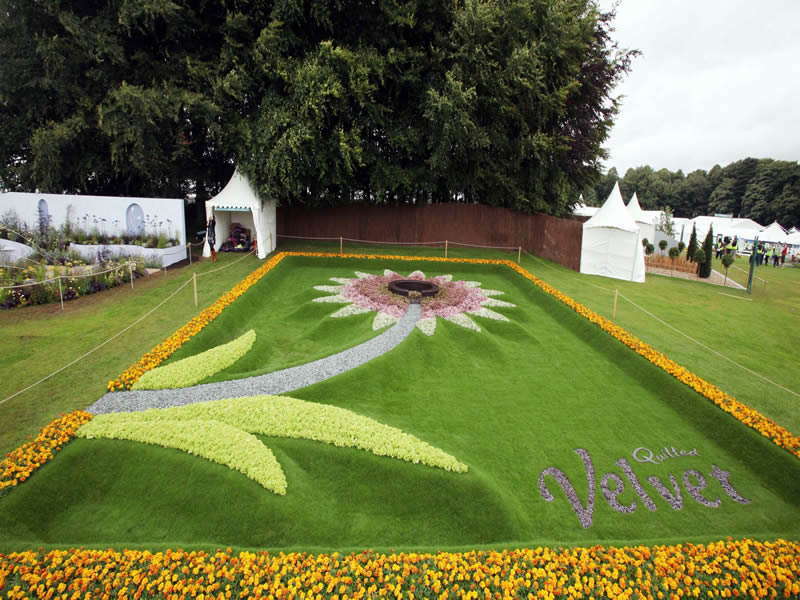 The Quilted Velvet garden sits within a picture frame: a giant portrait of a purple flower within a gold frame of marigolds. 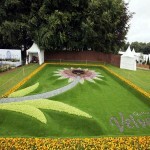 The flower stem acts as a path and leads to a circular slate seat at the centre of the flower. 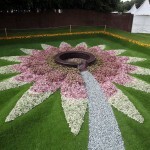 There is also a surprising water feature hidden in the centre. 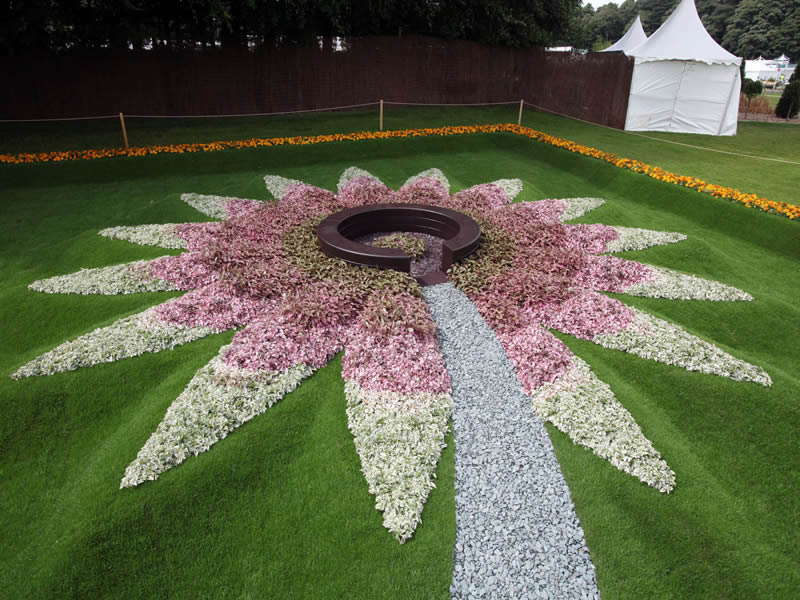 The actual flower was created from 5000 colourful bedding plants while green slate made up the flower stem and 1000 lettuces were used to make the leaves. 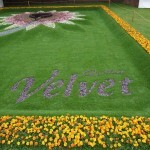 The larger- than-life portrait, signed in purple slate by Quilted Velvet, is set within undulating levels of turf which curve up to meet the flower and the picture frame.